I made Pad Thai for dinner tonight. Afterward, I thought to myself, what better way to debut my first food blog post than to present the epitome of Thai cuisine? Pad Thai is considered street food in Thailand. It’s easy to find a Pad Thai stand all over Bangkok, usually accompanied by Hoy Tod (fried mussels or oysters with eggs and bean sprouts). Thai people eat it often. It’s our version of fast food. On average, Pad Thai vendors cook their specialty as good as each other. Once in a while a vender makes a break-through and creates a James Beard Award winning Pad Thai and all the Bangkokian foodies flood to his/her Pad Thai joint. 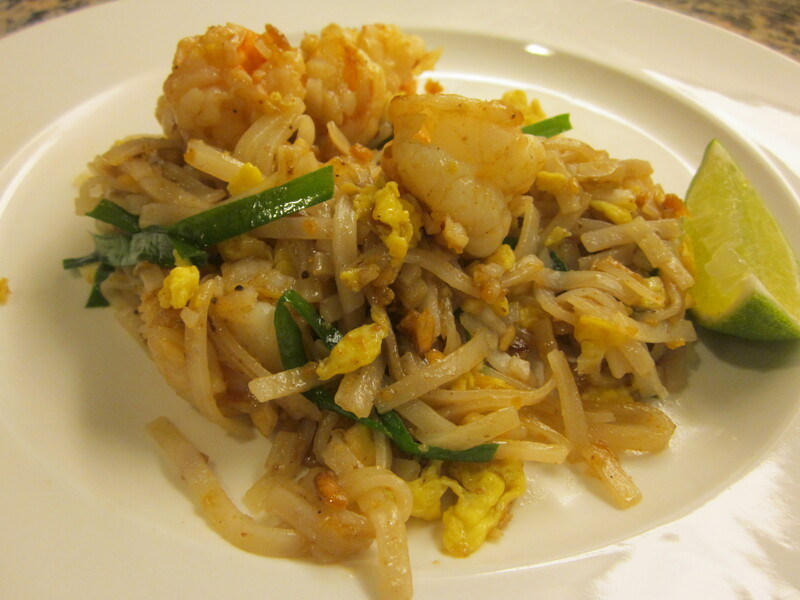 Pad Thai is found at nearly every Thai restaurant in the United States. 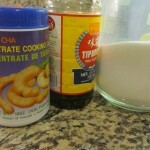 As many of you know, it also is one of the most popular Thai dishes here. I’ve tasted a lot of Pad Thai in the U.S. and found very few to be good. They were either overly sweet or boringly bland. Some used a secret ingredient, to my dismay, Ketchup. Often, I found the noodles to be too soggy. Eventually, I just quit ordering Pad Thai at restaurants. Instead, I learned to make it myself. And like almost every Thai recipe, if you ask a Thai person how to make it, their answer usually is, “you know, a little bit of this, a little bit of that, if you’re a salty person, add more fish sauce, if you like sweet, then add more sugar.” At least, that’s what my mom, dad, aunts, and some Thai cooks always tell me. 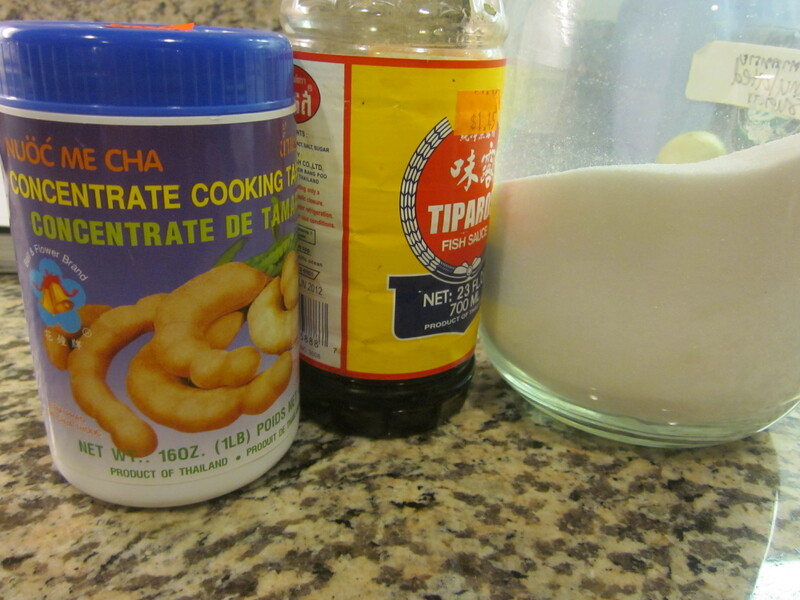 To some extent, it’s also how I make a lot of Thai dishes – a little bit of this and that. 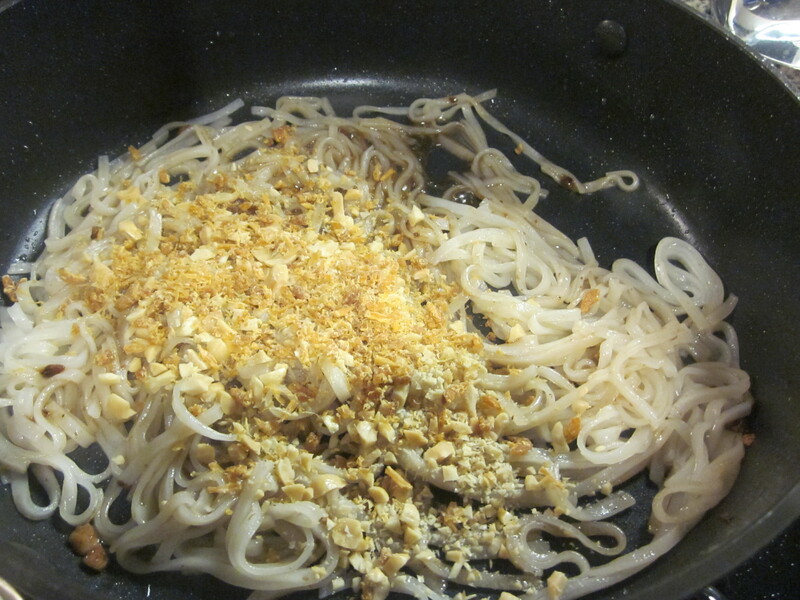 So with help from my parents, relatives, and the internet, I learned to make Pad Thai – my own way. 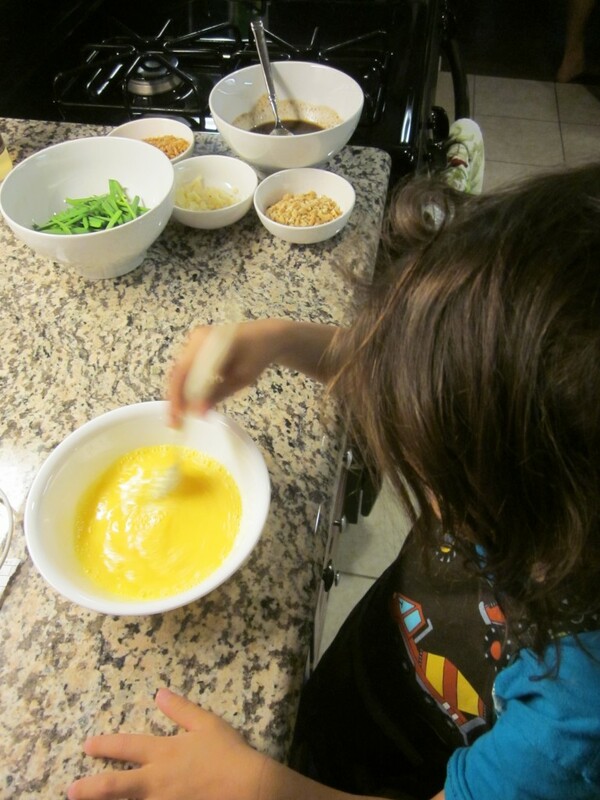 Growing up in Thailand, my mom never actually made us “home-made” Pad Thai. Since it’s street food, if I wanted it, I just went out to the front of our housing complex and bought it. It cost me no more than $1 when I was a kid. 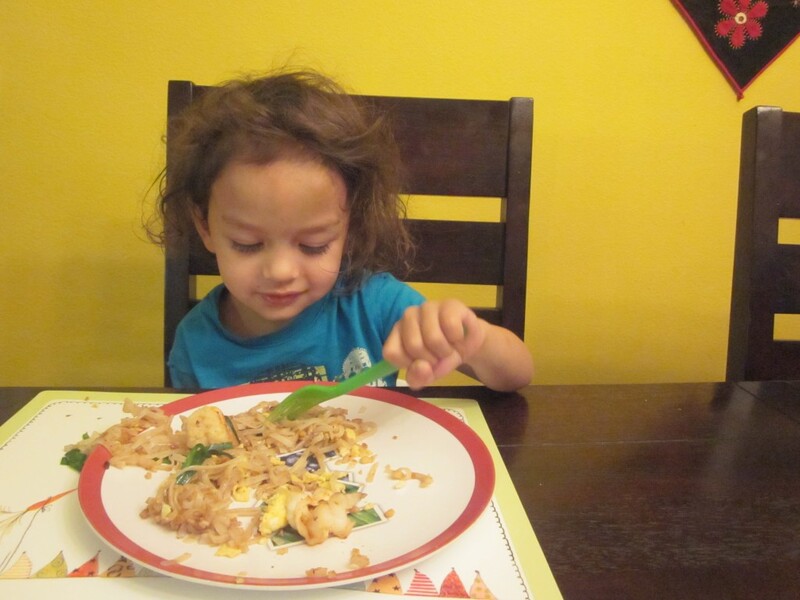 When my son was old enough for real solid food, I wanted to give him a taste of Pad Thai. 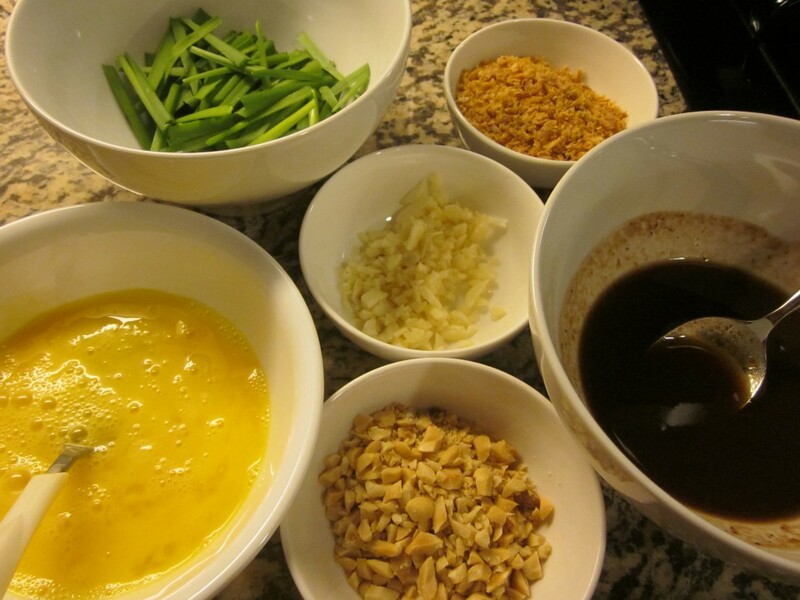 My Pad Thai uses most of the traditional ingredients, but I make it my own because I omit certain ones. I don’t use bean sprouts or extra firm tofu because I don’t care for them (but please add them if you prefer). I also omit preserved turnips because they’re not available at my local Asian markets. Equal parts (I usually use 3 tbsp) of tamarind puree, fish sauce, palm sugar (or granulated sugar) – you can make your own adjustments, if you like tangier flavor, use more tamarind puree, saltier, use more fish sauce, and sweeter, use more sugar – a little bit of this and that – make it your own! Prep your ingredients. 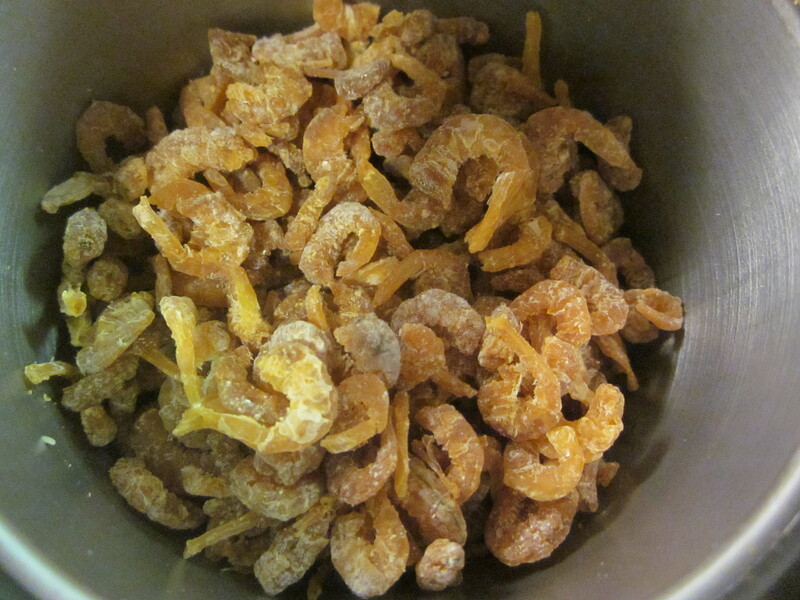 Combine tamarind puree, fish sauce, and sugar into a bowl. 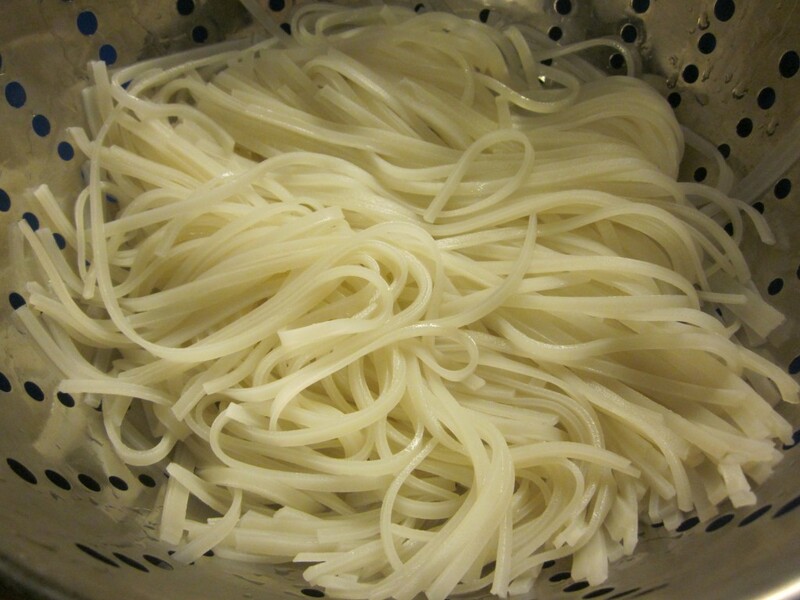 Soak the dried noodles in hot water for a few minutes (you should notice that the noodles have softened), drain. I always cook it in 2 batches. Heat 1 tbsp of vegetable oil in a wok if you have one (I don’t own a wok – a travesty for an Asian, I know. Woks in the U.S. are too heavy, in my opinion, so I use a sauté pan instead), add 1/2 of the chopped garlic and stir-fry over medium heat until light brown (don’t burn them). Add 1/2 of the prawns (or other meats) and cook for a few minutes until the prawns are opaque and done (longer cooking time for other meats). 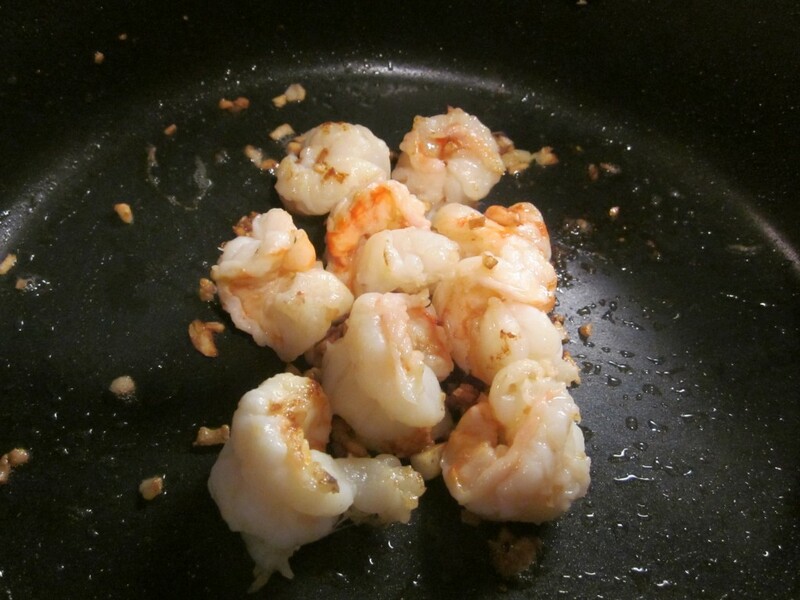 Remove prawns from the pan and put them on a separate plate. Add a little bit of vegetable oil (1/2 tbsp or so), wait for it to heat, then add 1/2 of the softened noodles, add a few splashes of water to help soften the noodles (about 2 tbsp – be careful not to add too much water, the noodles will be too soggy), add 1/2 of chopped peanuts and 1/2 of ground dried shrimp, stir-fry and mix everything quickly, then add 1/2 of the tamarind puree-fish sauce-sugar mixture, stir fry for a minute, or until the noodles are throughly cooked (think “al dente”). Remove noodles and save them on the same plate as the prawns. This is my personal preference, I usually take them out before cooking the eggs. Some people just make a big circle in the middle of the noodles and add eggs. Scramble the eggs until cooked, then add the prawns and noodles back in the pan. Stir-fry everything together. 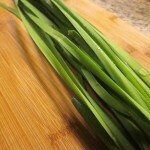 Add Chinese chives, stir fry quickly to soften the chives (but make sure they’re not overcooked). Remove everything from pan. Repeat all the steps using the leftover ingredients to make the second batch. 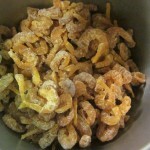 Mix the first batch into the second batch in the pan, quickly stir to ensure the same flavor. Serve with lime wedges. 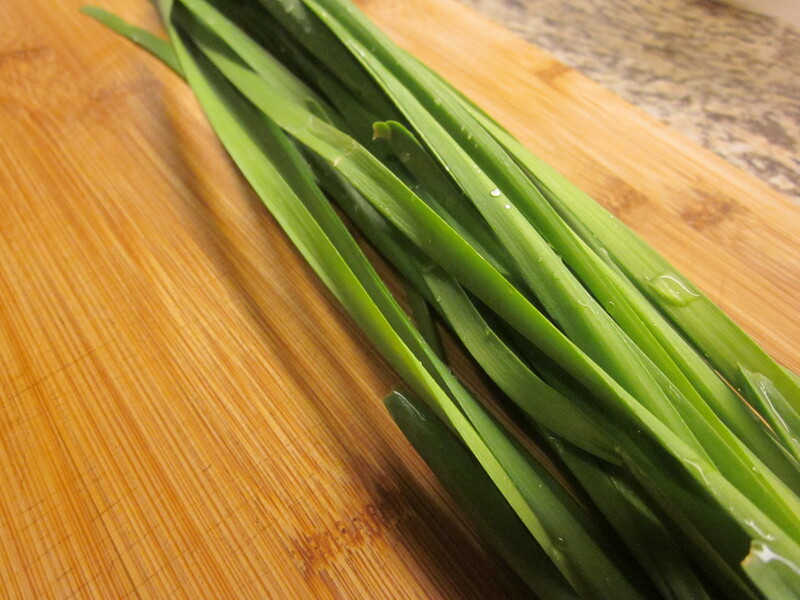 You can garnish with more chopped peanuts and chives.